South Terminal departure lounge, on the lower level in the toilets next to Harrods. South Terminal arrivals, in the immigration hall outside the toilets before going through the UK border. North Terminal security, two fountains on the right-hand side of the entrance to World Duty Free. North Terminal arrivals, in the immigration hall outside the toilets before going through the UK border. We travelled through Gatwick North Terminal on Wednesday (20th June) and my wife decided to get a sandwich to take on the plane at WHSmith, if you buy a meal deal it is far cheaper BUT we did not need the plastic bottles of water because we had filled our own at the fountain just after security. My wife argued with the till operator but she had to take the bottles and we gave them away in the queue when boarding. Come on WHSmith help reduce plastic waste and stop this stupid practice, why oh why do we have to take a plastic bottle of water to get a cheaper sandwich ? There is also a water fountain upstairs by the toilets between WHSmith and the Grain store cafe, directly in front of the Boots pharmacy. 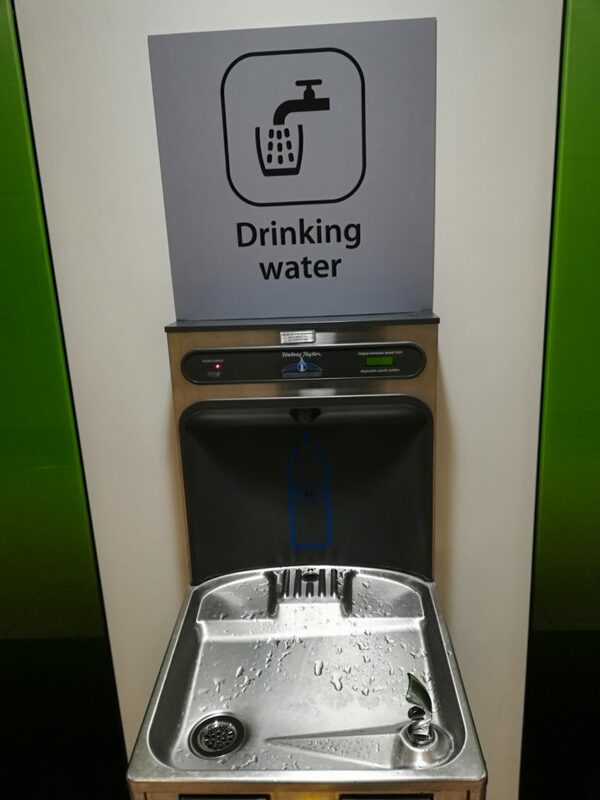 There are two water fountains in North Terminal, they are after Security BEFORE you go into the duty free shop on the left hand side, yesterday (2nd Jan 2018) the one with the drinking spout was broken, but the other one to fill a bottle was working. 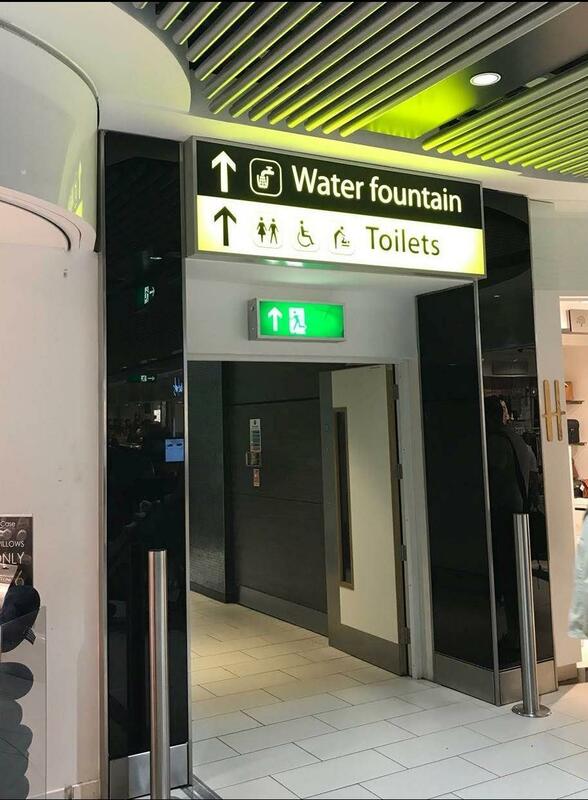 There is a water fountain by the toilets next to the small duty free shop. South Terminal departures upper level. Please add a reply comment if you know about drinking water in departures. Sorry but your comment will not show up until it has been checked for spam.